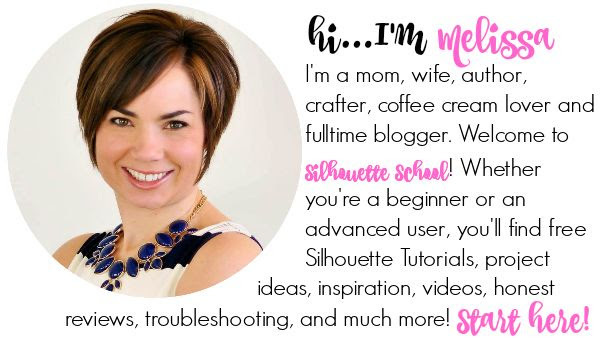 One thing that we love about Silhouette School is all the awesome tutorials and information on how to save money. 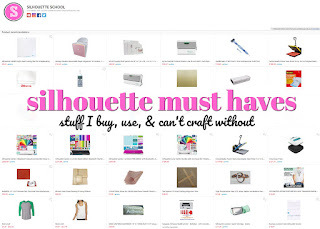 I mean seriously, crafting is a very expensive hobby, especially when it comes to supplies. So today, we want to add another nifty trick to the list! You may already be using a method similar to this, but it's one of those that is too easy to pass up! 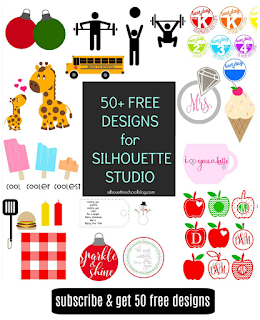 One of my favorite mediums to use with my Silhouette is vinyl (duh!). I have to admit, as the frugal crafter that I am, I love that I don't have to use up my cutting mat stickiness, I can feed the vinyl straight into the machine (using load media, of course). I also love my vinyl scraps, I hoard them until I find something to use them for, one way or another. But my problem was, I hated putting my little vinyl scrap squares on my beautiful mat. I know, it sounds petty, but those mats can be expensive to keep replacing when vinyl doesn't really need the mat anyways. Plus, I would end up with about fifty sheets of vinyl that wouldn't feed into my machine, but I refused to throw out. By show of hands, how many of you have a ton of vinyl sheets that look like this? hoardconserve my vinyl WITHOUT using my cutting mat. So let's look at my latest project, a vinyl glass block (love these!). This is a perfect example, as I need a 7x7 design cut in the corner of a 12x12 sheet. 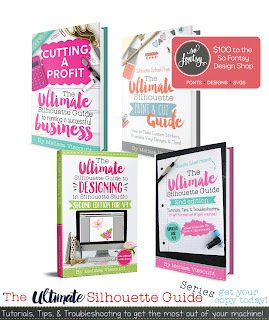 After you have the design in Studio, use the Draw a Box tool to draw a box around the design. You want the box to be just slightly larger than the design. This is the area that you are going to weed...instead of having to cut the design section away from the entire sheet. So you can see my dilemma, look at all that unused vinyl! But if I cut it off to save it, I'll have to use my cutting mat the next time I want to load and cut that piece. Not really a do-or-die situation, but why waste? So I started just weeding what I needed and leaving the rest on the 12x12 sheet. But the problem was, when I went to apply my transfer sheet, it would stick to ALL the vinyl, not just the part I cut. 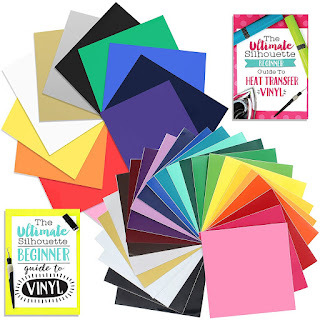 So to protect the useable area of your vinyl, start by finding some of your old vinyl sheet backs (you know, the sheets that are left when you have used all the vinyl). Using these sheets, you cover the usable vinyl, leaving only the cut vinyl visible. As you can see, I actually have one cut into a right angle. I find that this helps me with small corner designs. 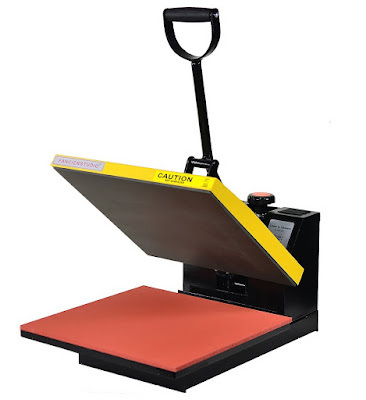 The right angle sheets also help you to isolate the exact area that you need to transfer. So now when you apply your transfer sheet, you don't have to worry about where it sticks. Those nifty sheet backs will protect your unused vinyl (the transfer sheets just peel right off!). I know what you're thinking, how does this help me to use these vinyl scraps without using a mat? The difference is, you are now left with 12x12 sheets that can still be fed into the Silhouette without a cutting mat! Your unused sheets will still have areas of vinyl missing, but you can move your design around to cut in the area that you wish to use! Ready to see the finished project? These glass blocks are super simple yet so perfect for decor items and gifts. I love the idea! It will help with the fact that the media has to be fed in the machine evenly in order to prevent it from slipping and sliding! Okay I don't see, you covered up the unused, I get that, but you can't put that big of sheets through the machine can you, didn't you have to trim them down? 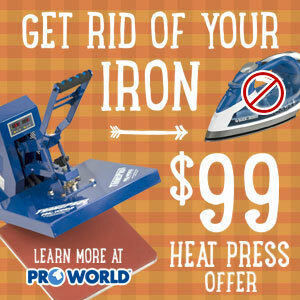 Love the idea, but my machine cuts better using the mat with the vinyl. I recommend tacky spray (use blue tape to cover where the rollers go before spraying).